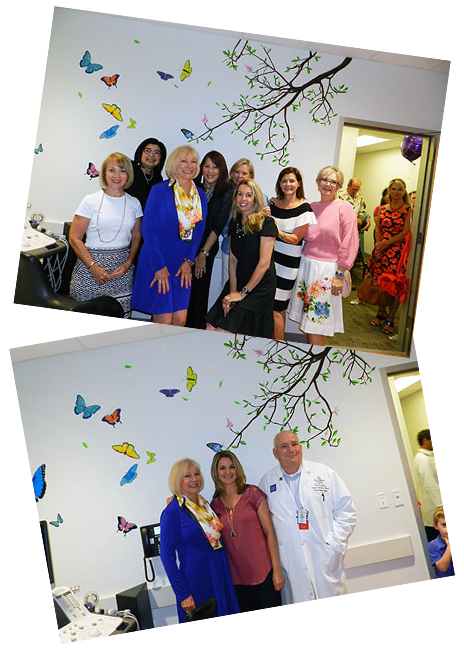 In 2017, Leaping Butterfly Ministry announced the sponsorship of the Echocardiogram Room for the new Texas Children’s Hospital in The Woodlands. This room enables doctors to identify heart conditions that may be directly associated with Turner syndrome on an ongoing basis. In addition to sponsoring the echocardiogram at Texas Children’s, Leaping Butterfly Ministry has supplied over 100 echocardiograms at conferences across the country due to the generosity of many. For many years, these echocardiograms have been provided by our non-profit organization free of charge at these conferences.